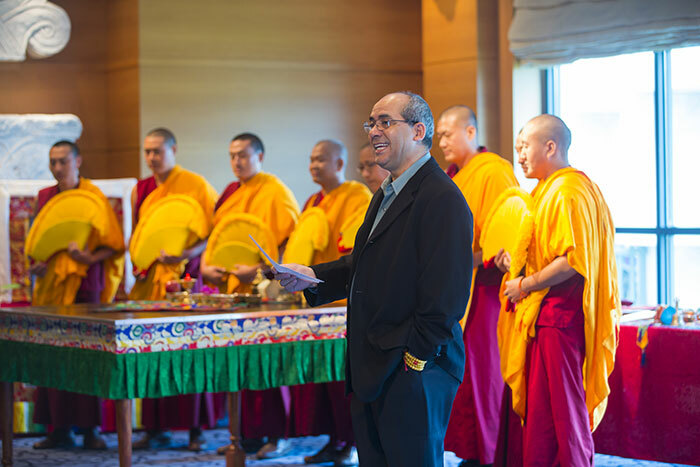 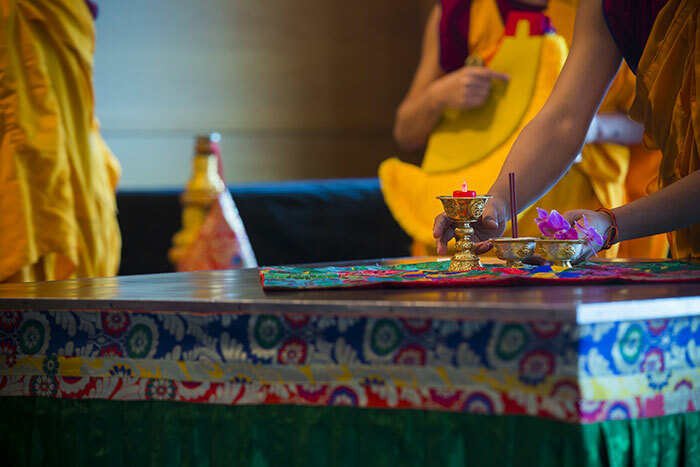 Emory's annual Tibet Week began Monday with the traditional opening ceremony in the Michael C. Carlos Museum's Ackerman Hall, led by Geshe Lobsang Tenzin and the monks of the Drepung Loseling Monastery in Atlanta. 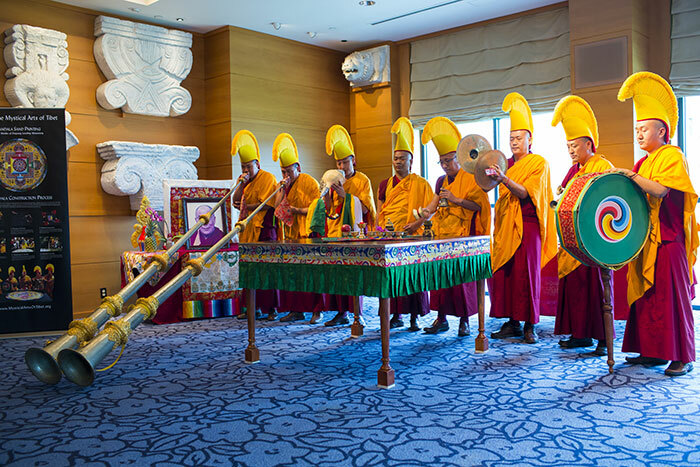 After the ceremony, the live exhibition of mandala sand painting, a tradition of Tibet Week, also got underway. 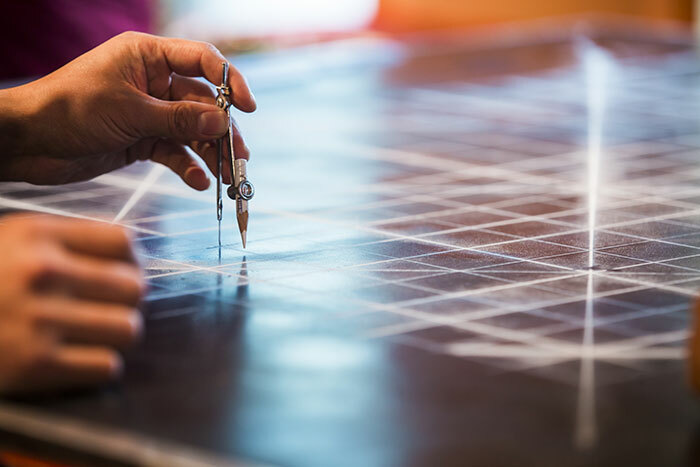 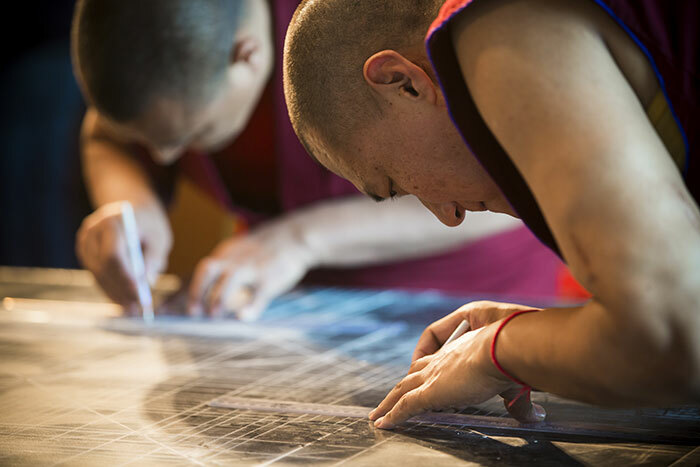 This year, the monks are constructing a mandala in honor of Avalokiteshvara, Buddha of Compassion, carefully placing colorful grains of sand into an intricate design. 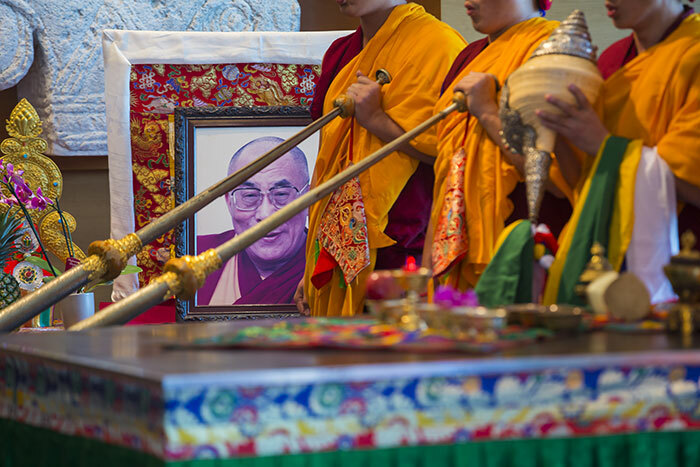 The sand painting continues daily through Friday from 10 a.m. to 5 p.m. 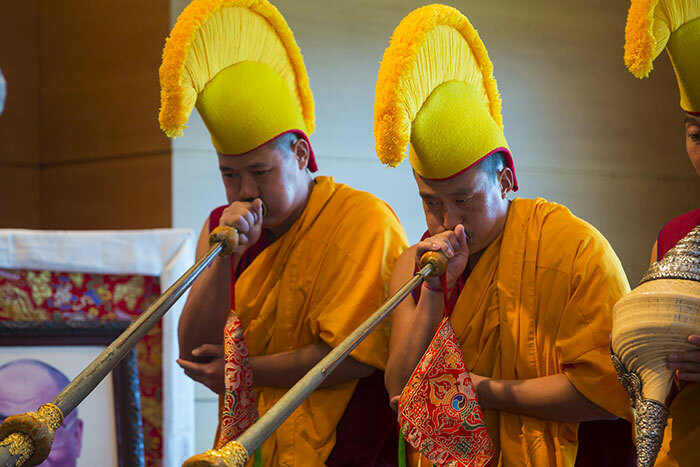 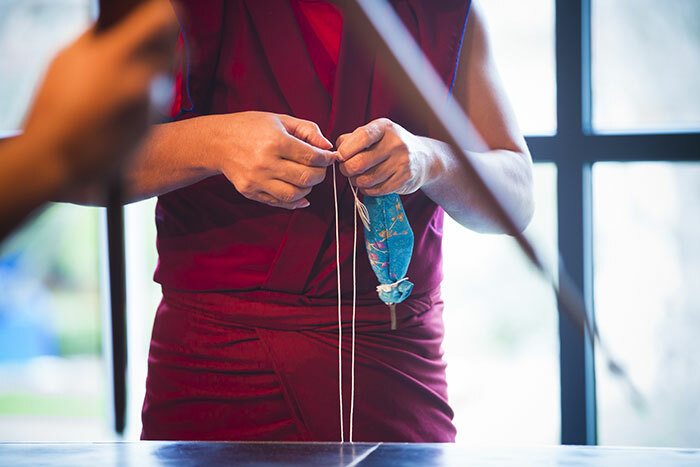 The theme for this year's Tibet Week is "Compassion, Healing and Transformation." 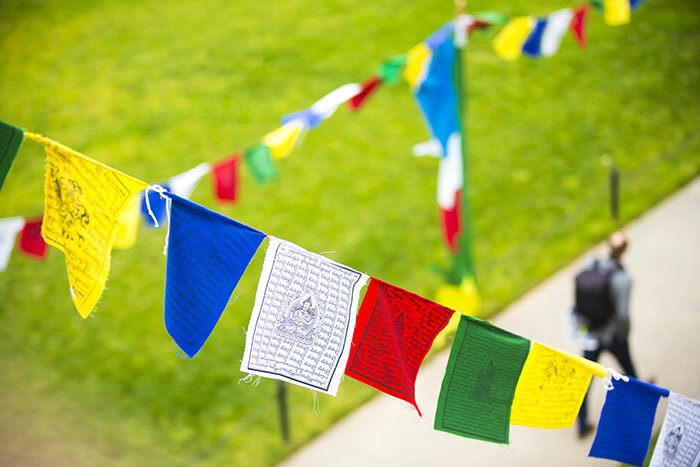 Events continue through Saturday, March 31, with daily guided meditations, as well as other events focused on the political, cultural, educational and religious aspects of Tibet. 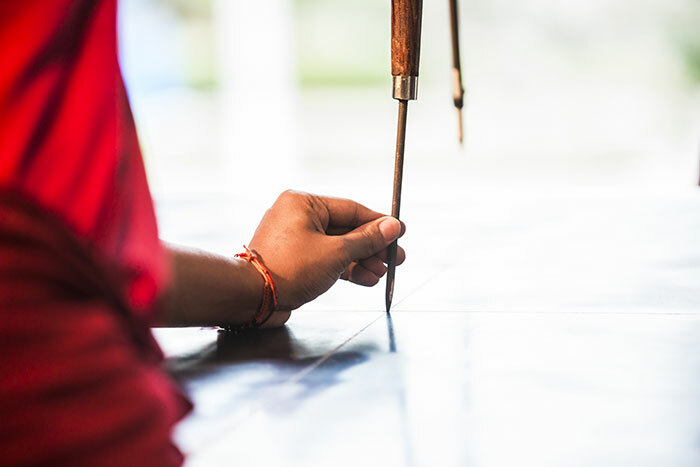 View the full schedule.